Tony’s is owned by the D’Alessandro family, Paul, Bonnie, and daughter Cheyenne. Paul’s grandparents emigrated from Tuscany in 1909, and passed on their love of cooking to future generations. Cheyenne studied in Florence, and graduated from the Culinary Institute of America in Hyde Park, New York. Paul owned a very successful restaurant, Americo’s Trattoria Italiano, in Sacramento, California from 1976-1986. Architect and old friend Rann Height, saw the potential in Tony’s, and convinced Paul to relocate to Coeur d’Alene. 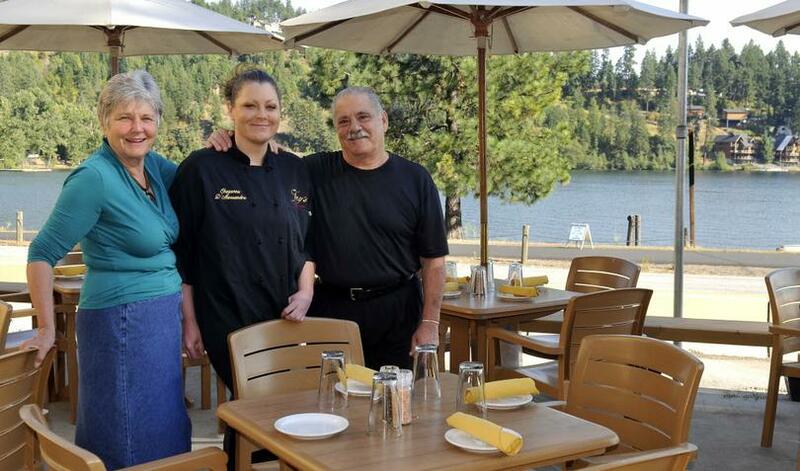 With Rann’s vision, Tony’s on the Lake has been completely remodeled. It is a jewel in our community. Outside dining was completed in 2005 which added a whole new experience for our customers, with beautiful views of the lake. Docks for customers arriving via the lake have been updated and are now easily accessible for all boaters.